Whether applying for a job with the U.S. Fish and Wildlife Service or the Maryland Department of Natural Resources, applicants for game warden positions in the state need to be prepared for a fiercely competitive selection process if they hope to land their dream job. With the limited number of positions available and the highly trained and passionate candidates they will be going up against, job applicants are encouraged to have a strong background and working knowledge of everything from ecology and statistics for maintaining data on wildlife populations, to communications and criminal justice for working with the public and serving as law enforcement officers. Job duties include some record keeping, habitat damage assessment and remediation, as well as enforcement of conservation laws. In a role that combines law enforcement and natural resource protection, game wardens are accountable for enforcing all of the fishing, hunting, trapping and harvesting laws that pertain to their jurisdiction. Applicants are carefully screened as hiring agencies look to find the most suitable candidate. One of the most densely populated states, Maryland is nonetheless home to diverse animal habitats and wildlife. A love of Maryland’s natural beauty and a passion for protecting the wildlife and natural resources found here are primary qualifiers for pursuing a career as a game warden, known as Natural Resources Police Officers in the state. In this highly populated, carefully protected and diverse state, there are many opportunities for officers to advance their career once they’ve been hired on with the DNR. While wardens are primarily committed to managing fish and game regulations they may also be presented with the opportunity to enforce Maryland state laws for any crime committed within their jurisdiction. Natural Resources Police Officers protect Maryland’s land and marine resources from poachers, promote and coordinate hunter education, boat registration, and firearm and boating safety courses, survey fish and wildlife populations, and communicate with service groups and students about the importance of natural resource conservation. This challenging set of job responsibilities means that an officer candidate must be well prepared for a rigorous selection process. 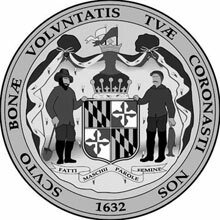 Additional information and job postings are available through the Maryland Department of Natural Resources website. Citizenship: Proof of U.S. Citizenship or naturalization documents are required. Additionally, confirmation of residency within the estate of Maryland is required. License: A valid Maryland-issued driver’s license is required for application. Interview: Candidates will have a panel interview with enforcement officers and human resources personnel. Medical evaluation: The candidate will be evaluated to ensure that he or she is in good health. Hearing: The applicant must be able to demonstrate ‘good’ hearing. Vision: The applicant must have 20/20 uncorrected binocular vision. Psychological Condition: Candidates must have sound psychological and emotional health suitable for their potential job. Demonstrate effective use of English including written mechanics and clarity, as well as reasoned verbal discussions. Demonstrate skills in additional languages. Natural resources officers in Maryland earn extremely high salaries compared to other game wardens throughout the rest of the country. In fact, the US Bureau of Labor Statistics reported that within their profession, Maryland’s natural resources officers earned the 4th highest average salary in the nation in 2016. The Maryland Department of Labor, Licensing & Regulation (DLIR) reported that the median salary among natural resource officers in the state was $80,390 ($38.65 hourly) as of 2016. This is more than 50% higher than the national median. Even the average entry-level salary for a natural resources officer in Maryland exceeds the national median for game wardens. Entry-level natural resources officers earned an average of $58,499 ($28.12 hourly), while experienced officers averaged $86,373 ($41.53 hourly).